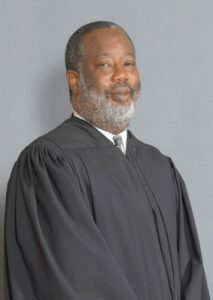 Judge James E. Stewart, Sr. The Honorable James E. Stewart, Sr., is a 1973 honor graduate of the historic C.E. Byrd High School. He received his Bachelor of Arts degree in Political Science from the University of New Orleans in 1977 and his Juris Doctorate degree from Loyola School of Law in 1980. Throughout his legal career, Judge Stewart has been recognized as a trailblazer. He began his distinguished career as an Assistant City Attorney for the City of Shreveport. He then served as an Assistant District Attorney for Caddo Parish for eight and a half years. He capped off his prosecutorial career as the first and only black to serve as First Assistant District Attorney. He began judicial service in 1990 with his election, in a district which was 66% white, to the First Judicial District Court, Caddo Parish, where he served with his brother the Hon. Carl Stewart, Sr., who now sits on the bench of the United States Fifth Circuit Court of Appeal. In 1994, Judge Stewart was elected, without opposition, to the Louisiana Second Circuit Court of Appeal. He was reelected in 2004, without opposition. Judge Stewart’s commitment to promoting professionaln excellence among practicing lawyers and judges is reflected in his participation in numerous professional organizations and committees. He is a member of the Louisiana State Bar Association, the Shreveport Bar Association, the National Bar Association, the American Bar Association, and the Louisiana Conference of Court of Appeal Judges. He was formerly a member of the Harry V. Booth Inns of Court. He is currently a Louisiana State Bar Association Assistant Bar Examiner and serves on the Louisiana Law Institute and the Louisiana Supreme Court Committee to Study Plain Civil Jury Instructions. He is one of the original founders of the Louisiana Judicial Council of the National Bar Association. He has had the privilege of serving on the Executive Committee as well as being a past President. Judge Stewart is one of the incorporators of the Louisiana Judicial Council of the National Bar Association Foundation and currently serves as Vice President of its Executive Board. He remains actively involved as the Webmaster in charge of overseeing the composition and content of the organization’s website. A man of deep religious conviction, Judge Stewart is a member of the Zion Baptist Church where he serves as a Deacon and Lay Minister. He is also active in the community. Judge Stewart is a life member and past Basileus of the Rho Omega Chapter of Omega Psi Phi Fraternity, Inc. He was a founder of the West Shreveport Little League and the West Shreveport Sports Association. He served as a coach in both organizations. Judge Stewart is also the founder of “The Keepers of the Vineyard,” a mentoring program targeting at risk students. His continues to live his commitment to serve others when called upon to participate in community programs as a panel member or speaker. Judge Stewart has been humbled to receive a number of honors for his civic involvement and professional achievements. The Shreveport Branch of the NAACP recently awarded Judge Stewart the 2012 Dr. Jessie Stone Pioneer Award in recognition of his positive impact on the community through his legal service. The Judicial Council of the National Bar Association awarded Judge Stewart the 2012 Sara J. Harper Humanitarian Award in recognition of his dedicated service to the community. He was named the Omega Citizen of the Year in 2005, and he received the Rho Omega Chapter, Omega Psi Phi Fraternity, Inc., Man of the Year Award in 1991 and 1992. The Caddo Community Action Agency awarded the Paul Lynch Award to Judge Stewart in 1993 for demonstrating outstanding service to the community. This same organization awarded him its Legal Services Award 1990 and its Legal Profession Award in 1989. He was included among the Outstanding Young Men of America in 1980 and 1983, and he was selected for and completed the Leadership Shreveport Program in 1981. Judge Stewart was also proud to be inducted into the C.E. Byrd High School Hall of Fame in 1991, the only black to ever be inducted. Judge Stewart is a lifelong resident of Shreveport, Louisiana. He is married to Helen Gafford Stewart. He is the proud father of five children, James, Jr., Adrienne, David, Jonathan, and Andrea, as well as two step-children, Jared and Trae, and one grandchild.